We all deal with regret, but how we deal with it varies greatly. 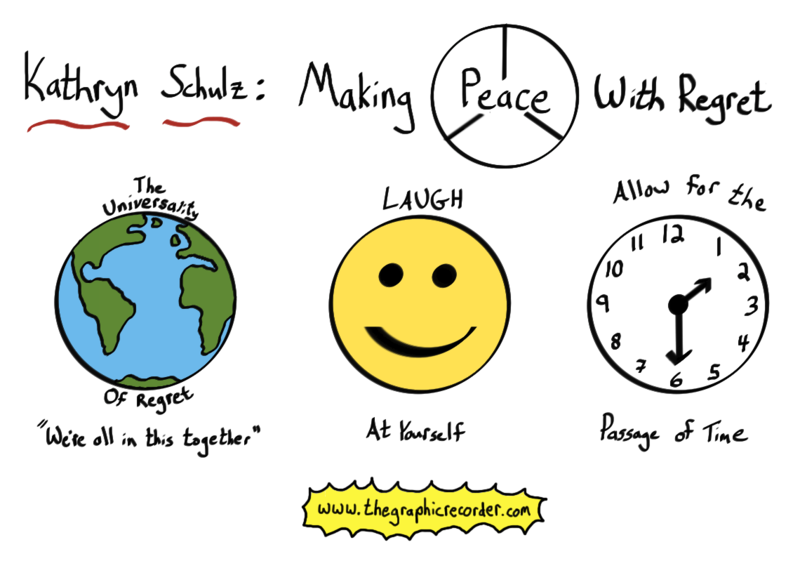 I recently watched Kathryn Schulz’s TedTalk in which she describes the traditionally accepted stages of regret, and proposes one last stage that she thinks needs to be added: making peace with your regret. Go watch the TedTalk, then come back and look again at the graphic above to see if I did a good job of representing that final stage. Schulz has also given a TedTalk on the value of being wrong. I have not yet read her book on that same topic, but here it is if you want to check it out.